For many generations the families Weisrock and Schwalbach plow on own clod. The family tree of Schwalbach family goes back in direct line until 1580 to Marienborn. As it used to be common in early times the company is a mixed farming company with agriculture, livestock breeding, fruit and wine. According to the family chronicle one sees that the companies always changed and adjusted their major tasks. With such long past the priority was always a responsible and sustainable dealing with ground and nature. 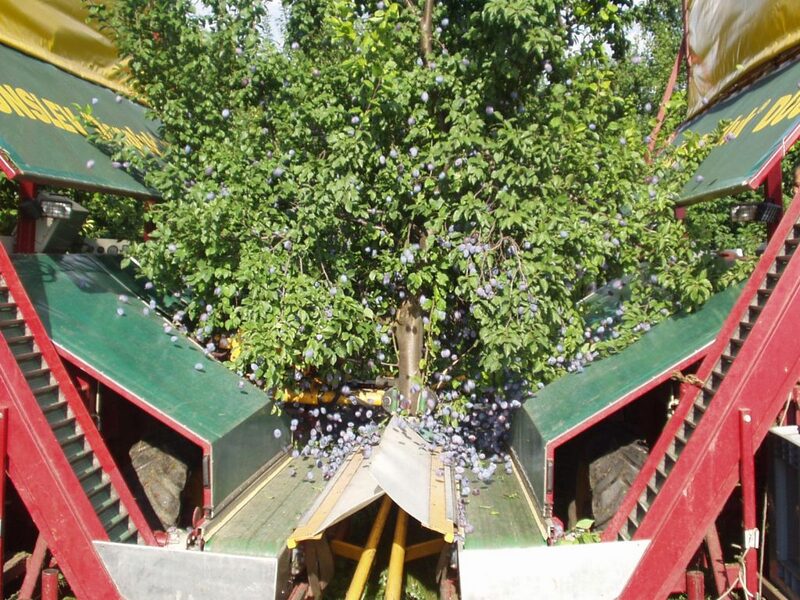 In 1991 the fruit cultivation of both families was united and has developed dynamically since then. Craftsmanship was turned over generation to generation and cultivated. Our customers benefit from this tradition, also half good manufacturers and producers of jams, marmalades, juices and canned goods. A high product quality, ongoing training and the long standing operating experience with soil, nature and climate are our key to success. 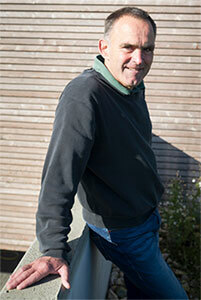 In our tradition, the sustainable management of soil, plants and the nature are in our very own interest. What would the tree be without healthy soil, where would the fruit be without insect pollination? 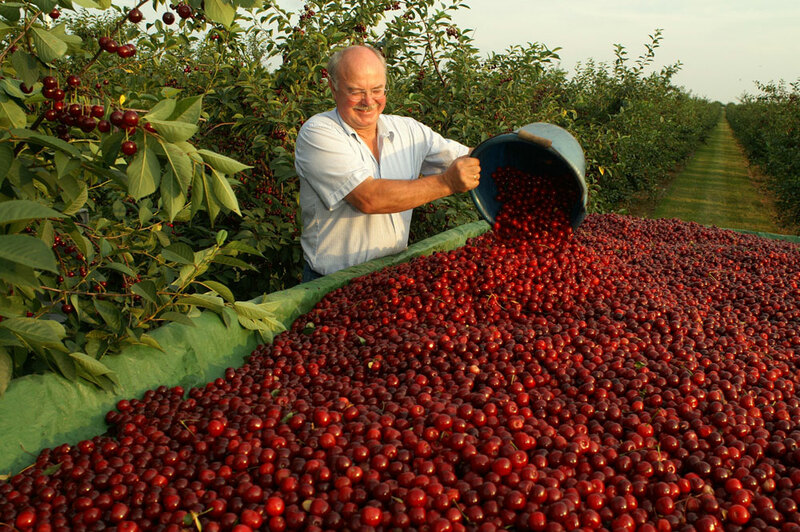 We use all our experience and passion to be able to harvest delicious fruit each year – that’s what we live for. This includes providing good nutrition for the plants as well as protection from diseases and pest. 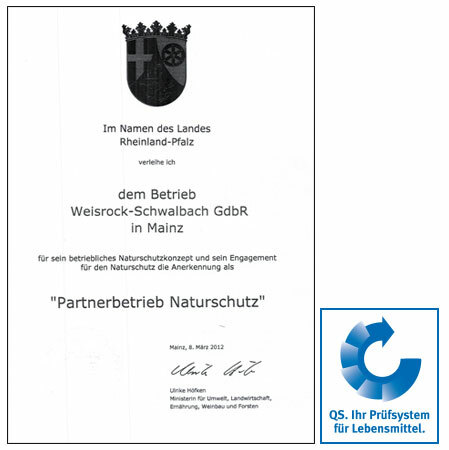 We are an active member of the Integrated Crop Management (ICM), of the “Partnership Nature Protection” and we take part at the independent controls from QS. 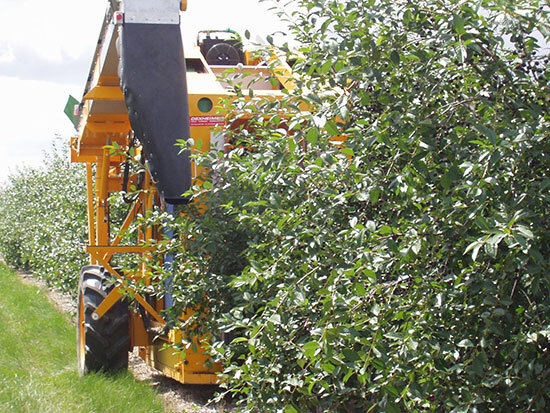 We believe that only healthy plants can bear fruit year after year. Crop protection and fertilization are no taboo for us, but a long lasting strategy to preserve a healthy soil and plants. For generations, we are committed to the conservation of the natural ecosystem and all its parts. 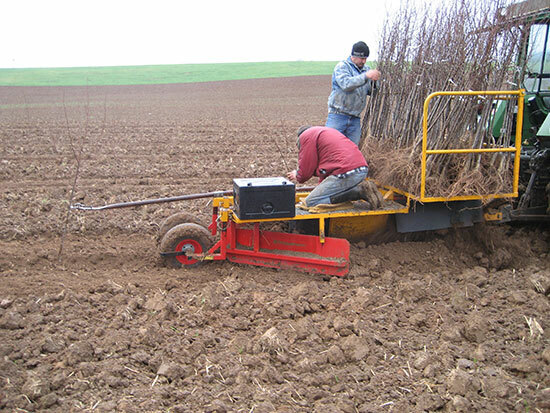 Weisrock Schwalbach GbR exists for many generations as professional fruit growers and specialized on the cultivation of sour cherries, Mirabelle, and plums. The region Rhinehessia is ideal with its mild viniculture climate and the soft hillsides for this type of fruit. More than 2000 hours of sun annually with an average of 11° C with only 540 mm rain bring the more of aroma and ingredients to our fruit. 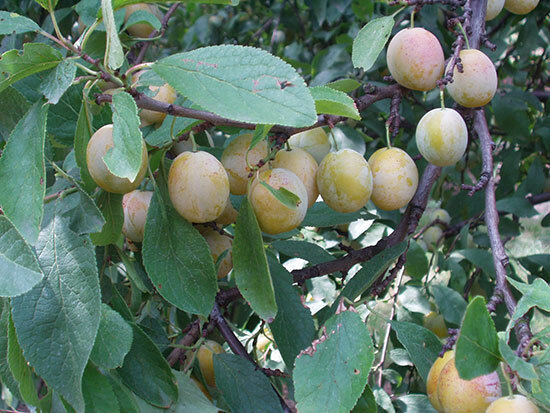 These favorable environmental conditions enabled us to become one of the largest agricultural companies of plums. Our trees are located in over 100 grounds in Rhinehessia. This reduces the danger of frost, hail and severe weather. 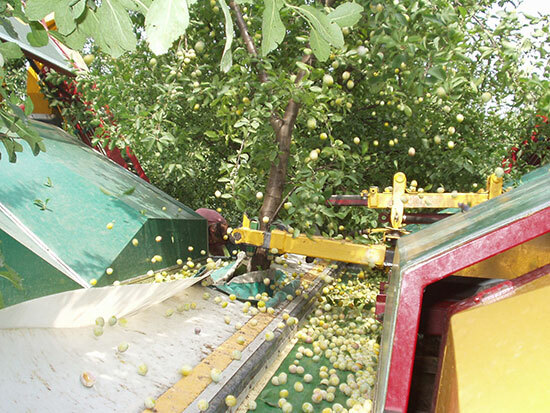 This is how our helpers manage to harvest all year long fruits with high glucose and acid value, as well as lots of taste.